totesport is synonymous with horseracing. From morning until night you can get on our early prices from Ascot to stateside racing from Arlington Park. Remember – “our profits stay in racing”! totepool bets offer you more choice, where you can win big from small stakes with the totescoop6 and the daily totejackpot. 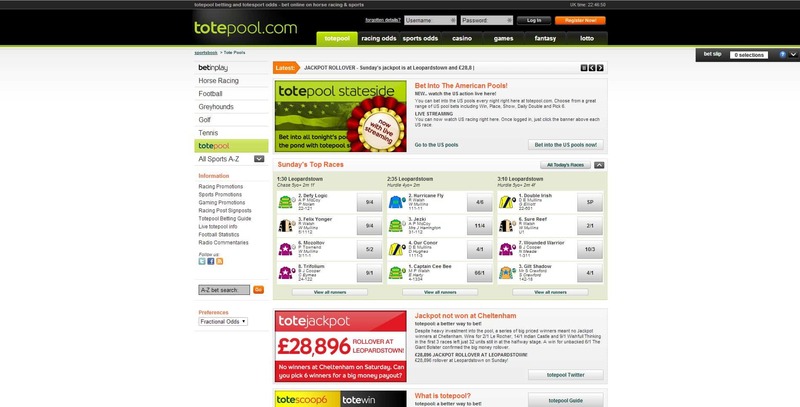 Some of our bets are unique to totepool, like the popular toteplacepot where it’s possible to win without backing a winner, while other bets like the totewin, toteeachway, toteexacta (forecast) and totetrifecta (tricast) offer a competitive alternative to their fixed odds equivalents.